The Wine Advocate - A beautiful perfume of black raspberries, black cherries, black currants, licorice, damp earth, truffles and asphalt soars from this deep, full-bodied 2008. The tannins are sweet, the concentration level impressive and the wine is round and generous. It is ideal for drinking over the next 15-20 years. Parker - A beautiful perfume of black raspberries, black cherries, black currants, licorice, damp earth, truffles and asphalt soars from this deep, full-bodied 2008. The tannins are sweet, the concentration level impressive and the wine is round and generous. It is ideal for drinking over the next 15-20 years. 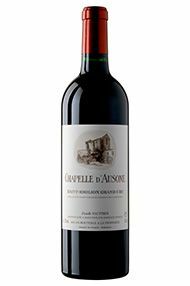 One of the finest second wines of Bordeaux, the 2008 La Chapelle d'Ausone exhibits abundant amounts of sweet blackberry and cassis fruit intermixed with hints of ripe cherries, loamy soil, licorice, and earth. This relatively evolved, fleshy, full-bodied beauty should drink well for 15 or more years.Once again, Alain Vauthier has produced a wine that flirts with perfection. 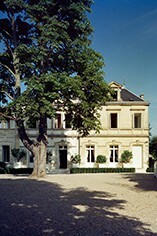 As I stated in my bottled 2006 Bordeaux report, over the last decade no proprietor has produced as many virtually perfect wines as Vauthier.